While cell, tissue, and gene therapy has become a new focus for the life sciences industry, it is a rapidly evolving field still in its infancy. Companies pursuing this new area should know what to expect when considering a potential acquisition. Rapid innovations in cell, tissue, and gene therapy (CTGT) have brought treatments once considered theoretical into the realm of reality. Companies across the life sciences industry are racing to lead the pack in this new area, and as a result deal activity in the space continues to heat up. 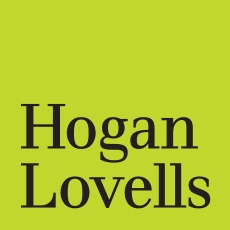 Adam Golden, partner at Hogan Lovells’ New York office, says as M&A activity across CTGT accelerates, life sciences companies considering their own transactions should understand three key factors that make deals in this space unique. Many transactions in the cell and gene space involve smaller companies with new technologies, and larger companies with the capabilities and resources to bring them to market. Golden says it’s crucial that both parties entering into this type of transaction have a clear picture of the boundaries and scope of rights that the deal entails. “Smaller companies want to make sure that they're preserving their platform technology and that there are appropriate boundaries around the rights they're granting to the other company,” he says. “Larger companies will want to be mindful of the same thing, ensuring they're getting enough runway so that they are receiving the adequate scope of rights to [the technology] or product that they will need.” He adds that the purchasing company doesn’t want to find itself in a situation where two or three years down the line it needs to come back to renegotiate a deal in order to receive additional rights.